Coffee Pod Holder. 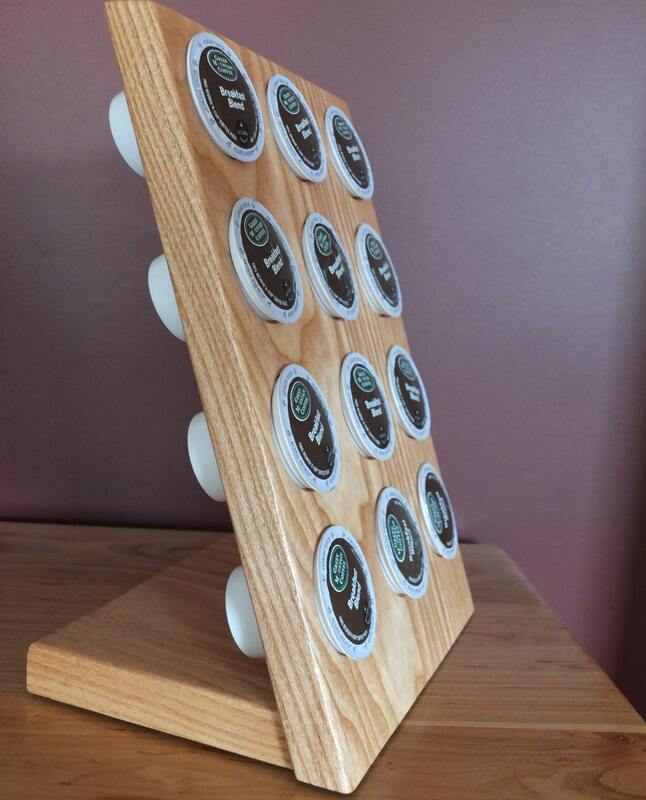 Solid Coffee Tree Coffee Pod Holder. Great Kitchen Gift, Housewarming Gift, Gourmet Gift, Christmas Gift. 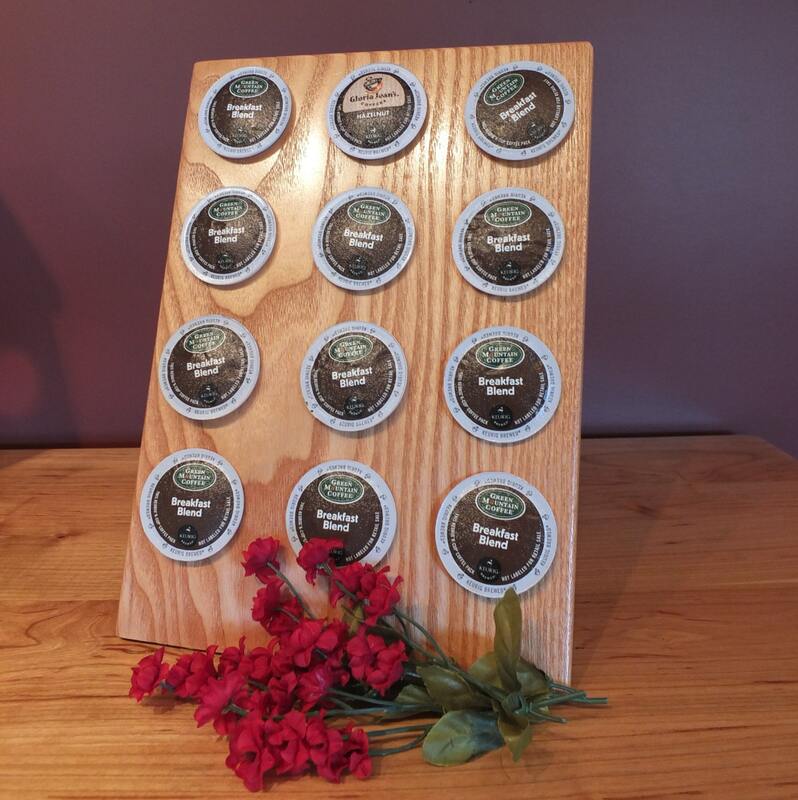 Coffee Pod Holder, fits Keurig coffee pods as well as other brands. This models holds 12 coffee pods. 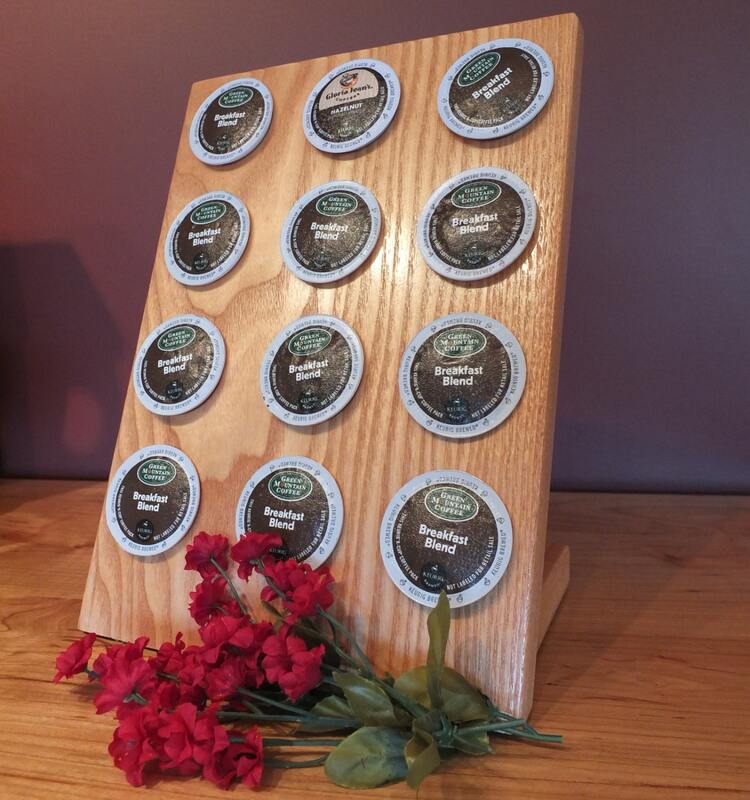 Wonderful accessory for kitchen, guest room or coffee bar. This fits underneath upper cabinets and would be a beautiful and function accessory in your kitchen! Kentucky Coffee Tree pods were used by early settlers as a coffee substitute. The wood has a beautiful grain and beautiful color.